OOH YES!! She would be furious! Maybe Cas could help keep her powers in check while Dean spanked her. I can just see the rage in her eyes and all the cussing she would be spitting out? YES!! New SUMMER HALL is up! 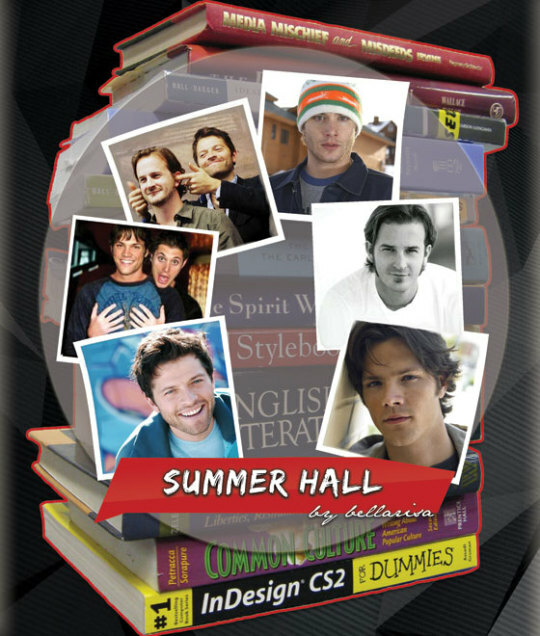 Notes: A while back I made a cover for Bella’s amazing fic, Bunker Hall. 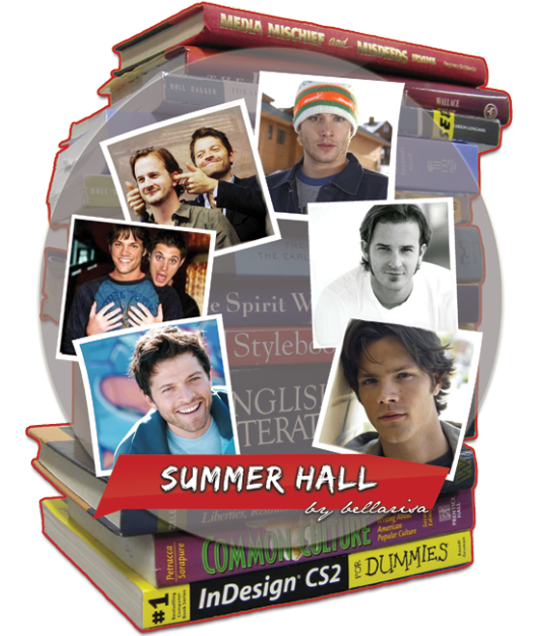 After I posted my Birthday Requests offer, Bella asked for a follow-up cover for her new addition to the Bunker Hall ‘Verse, Summer Hall, which is a work in progress and totally awesome so far! I made two covers total for this fic because I wasn’t sure which one I liked. You can find the second cover under the cut. My dad is the same height as Jared Padalecki at 6′ 4″. When I was a kid, the docs thought I was going to be 6′ because of how tall I was at age 2. I grew really fast, then stopped at 12 years old, so I was the tallest kid in every class until then. My mom is considered the short one in the family, but she’s 5′ 4″, which isn’t really short. That’s the average height of a woman.